So the last couple of weeks I've been going Holy from Tuesday - Thursday for my 2's and 3's matches and then swapping back to Ret Friday - Monday for BG's, Heroics, Dailies and Wintergrasp. Now, before I get into the post I want to mention a little bit about the PvP guild I joined. I wasn't quite sure what to expect after joining But here's how it is: Everyone's busy doing their own thing and most people have their own teams setup already. I do my best to be social when possible, announcing wintergrasp start times, asking people to join up for quick badge runs like heroic VH, 10/25 man VOA etc. Also whenever a premade BG group is running I'm quick to join up. However our elite players (2k plus arena rating) are already well formed on their 2k teams and not in a rush to carry guild members in the 1500 brackets, not unexpected really, since the way promotion happens in the guild is that the higher your arena rating the higher your member status (officers are 2k + only). Fortunately I've been getting asked in to some skirmish matches and one of the guildies joined my 3's team. He's a pretty solid player raking in the low 1600's for 2s. S0 last week we ran Rouge/Mage/H Pally in 3's and brought settled in at 1479 after toping out around 1510 or so. That may not sound great, but considering we started at 1385 it was a pretty high bump up. I was running a 37/0/34 build which I was mainly trying for 2's, but it worked pretty well for 3's as well. This build give me both Repentance and Divine Purpose. The extra Stun is awesome for CC but I do loose out on Unyielding Faith, Holy Guidance and Enlightend Judgments that I would get in a 47/0/24 build. So this week I'll be trying the 47/0/24 build and see how we do. I can already tell you to stay away from the 51/0/20 build. great for PvE but I've found that I simply have to spec 24 points minimum in Ret to get Divine Purpose, if you can't break the out of those stuns you're dead. And with bust damage as high as it is you can't be out of commission in a stun. One little tidbit for those not paying to much attention to which stun is on you. Divine purpose will break you out of a Hammer of Justice, but NOT a Repentance or Sap so don't go blowing it on those two. 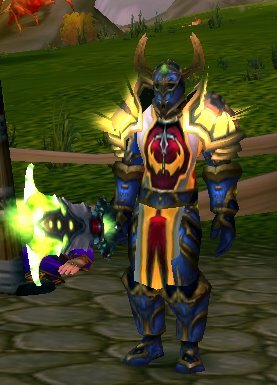 On another pleasant note I got Deadly Gladiator's Scaled Legguards from 25 man VOA this weekend WOOT WOOT! That should still be a sold piece of gear well into arena season 7. Can I get a wowhead link for your pvp builds that you mention in the post?